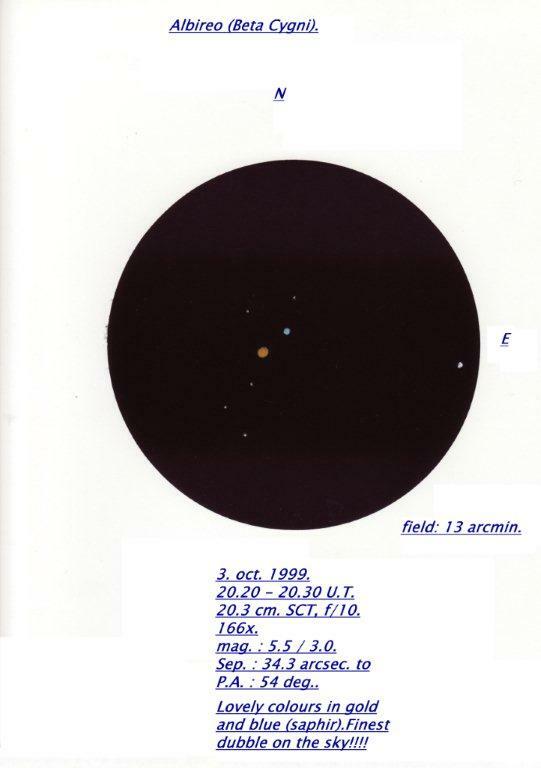 I send you a double “Albireo, the beautiful”. every time I had been amazed of their very beautiful contrast in colours. I have never seen them split with naked eyes, but with 10x 50 I have seen both. I think Albireo is the finest double seen from Norway. More info on my sketch! The observation was made outside Trondheim city, Norway. asod@perezmedia.net. Let us know your sketch was overlooked and indicate the subject and date emailed and I’ll do my best to retrieve it. Again my sincere apologies. Excellent sketch of a summertime favorite.